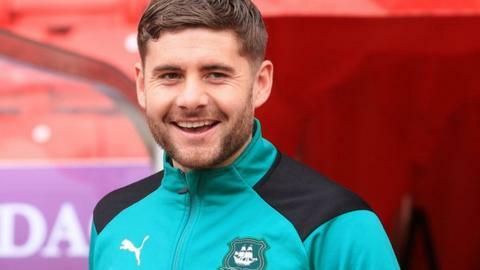 Plymouth Argyle right-back Joe Riley will miss the rest of the season after breaking his arm in their League One draw at Blackpool on Saturday. The 27-year-old had to be replaced in the ninth minute at Bloomfield Road and may need an operation. "There's nothing much you can do - you get a kick on the arm and you break a bone," said Pilgrims boss Derek Adams. Riley has made 20 appearances in all competitions for Argyle since joining from Shrewsbury last summer.